Amid uncertainty around the designation and role of Rohan Murty, son of Infosys Chairman N R Narayana Murthy, industry experts have started raising question marks over the corporate governance standards at India’s second largest information technology services company. “We do not have any opinion on Junior Murthy’s ability, but making him a vice president surely diminishes the halo around Infosys’s corporate governance standards,” HDFC Securities said in a note on Monday. “If Junior Murthy is eventually elevated to a decision-making position like chief information officer, chief executive officer or managing director, without spending significant time at middle management levels and without proving his mettle, that would be not taken kindly by investors,” it added. The brokerage firm went on to say that such decisions by Infosys, if they happen, might lead to a de-rating of the company. Rohan joined Infosys in June, when Narayana Murthy returned to the Bangalore-based company as the executive chairman. At the time of his joining, Narayana Murthy had stated that Rohan would only work as an executive assistant in the chairman's office, and would not have any leadership role in the company. “The only role Rohan has, is to make me more effective,” Murthy had said in June at a press conference to announce his appointment as the executive chairman. “If reports that Rohan Murty has been designated vice-president are to be believed, it looks like Infosys would soon designate him the chief executive officer of the company,” Shriram Subramanian, founder and managing director of corporate governance research firm, InGovern Research Services Pvt. Ltd, said. “Rohan Murty joined in June, and at that time, Narayana Murthy himself went on record to say that Rohan Murty doesn't aspire for senior leadership position. But now, if the position has changed, what can prevent Rohan Murty from becoming managing director of Infosys before Diwali?” he added. Most analysts share such concerns and believe that Infosys might be taking “desperate measures due to desperate times”. “The biggest concern for investors is that a senior position for the inexperienced Rohan Murty might raise eyebrows within the company's top leadership,” an analyst with a US-based brokerage said. “This would be the third time that N R Narayana Murthy bends the rules that he himself had instated,” the analyst added. Infosys under Narayana Murthy had earlier formulated a policy as a part of which the family members of the co-founders were not allowed to join the company even through the normal route. 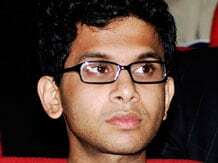 To a question if with the entry of Rohan Murty into the company, the family members of the other co-founders would also be allowed to join the company, Murthy had said it would be the prerogative of the board to take any such decision. “If the company sees it necessary to invite anybody who has retired -- not just the co-founders -- he or she has the right to say that these are the terms under which they would be effective and add value to the company,” Murthy has said in June this year. Infosys did not reply to a query of whether the appointment of Rohan would be a breach of the corporate governance practice in the company.